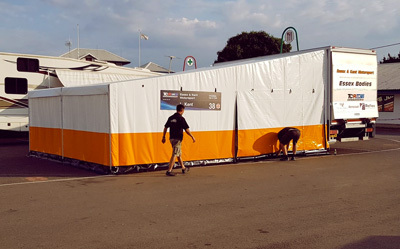 We arrived at Castle Combe on Thursday the 12th to set up ready for the weekend ahead, with no garages being available at this track we set up our new awning supplied by Weather Weave of Rayleigh, this was the first time we had used it and it was a terrific piece of kit. Free practice did not go well for Lewis he seem to be struggling with under steer, the main cause of this was put down to tyres, as we have had problems with delaminating tyres during previous meetings and we had very few tyres that were any good to carry forward for practice. Only 6 new tyres can be used in a weekend and these are necessary for qualifying and the two races. With new tyres in Qualifying the front of the car handling improved greatly and Lewis was soon on the pace, he ran in the top three for most of the session only to miss out at the latter stages to finish 5th, as a team we were still pleased with this performance. Lewis finished 4th but with a reversed grid for the second race was not where we really wanted to be. Race 1: Starting in 5th place proved no problem for Lewis who got his customary great start and on the first lap was fighting for top spot. As the race progressed tyre wear became a factor and Lewis dropped back to 4th. Whilst this was unfortunate, it was still a good result for Lewis and the team. Race 2: Lewis got away well in race 2 as always but experienced handling problems throughout the race and finished in 6th place, not the result we had hoped for. The team were pleased with the outcome this weekend, we are all improving every race weekend and the gap in the Championship between us and 4th place was reduced to just 6 points. Our target at the start of the season was to finish in the top 3 and with the way we are progressing each weekend, this looks possible with three meetings to go. 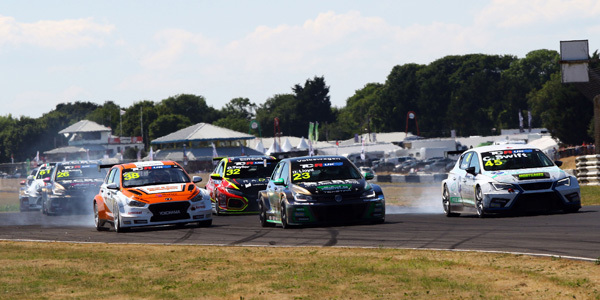 This entry was posted in Race Reports, TCR UK and tagged Castle Combe, Essex & Kent Motorsport, Essex And Kent Motorsport, Lewis Kent, TCR UK, TCR UK Touring Car. Bookmark the permalink.